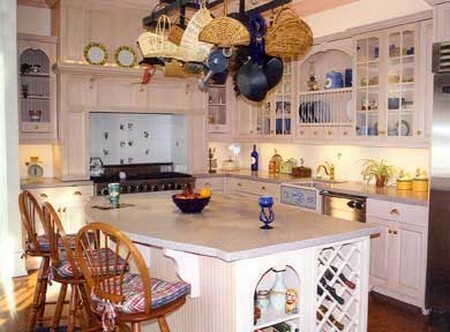 Go through everything that you have in your kitchen and start to group the items depending on their use. Knives goes in one place, measuring cups and spoons goes in another, Ziplocks and other containers should be in one place. You get the drift. Once you’ve grouped the items together, sort them out. Discard items that you haven’t used in the last year; chances are, you won’t use them again. Discard food, medicines, and condiments that are beyond their expiration dates. Discard appliances and tools that no longer work. Discard can openers that cannot even open cans. Clear your cupboards and drawers. Use warm, soapy water to clean the insides. Rinse and let it dry. Once totally dried, replace the liners with clean and crisp cloths. Choose an area near your stove for your pots and pans. This gives you easy access to them when you cook. To conserve space, nest pots and pans together — the wider and bigger go to the bottom and the small and narrow ones to the top. Put your utensils and dishes near your dining table so it’s easier to reach out to them if you need them. Store your children’s utensils in drawers that they can easily reach so you don’t have to assist them all the time. At the same time, sharp tools, cleaning chemicals, alcohol, and other dangerous items must be placed out of their reach. Arrange your spices alphabetically so you know exactly where to reach out for the spice that you need. Keep them near your stove / cooking area for easy access and convenience. You can use a revolving rack for these items if you like. Group food that you use on a daily basis and make sure they are within reach or easily accessible. Some of these food include sugar, coffee, salt, pepper, creamer, etc. Place food that easily attract ants and insects in a Ziplock or sturdy plastic containers. Some of these food include maple syrup, sugar, honey, etc. For better organization of utensils in your drawers, use dividers or utensil organizers that you can buy from you local department store.